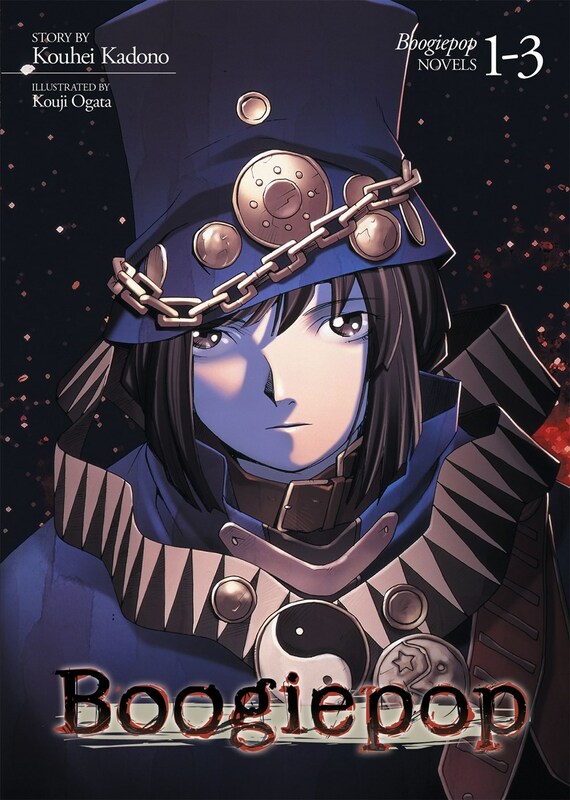 Boogiepop Novel Omnibus Volume 1-3 features story by Kouhei Kadono and art by Kouji Ogata. There is an urban legend that children tell one another about a shinigami that can release people from the pain they may be suffering. This “Angel of Death” has a name: Boogiepop. And the legends are true. Boogiepop is real. Told in a non-linear fashion that asks the reader to piece together the sequence of events to solve the mysteries alongside the characters, Kouhei Kadono’s first Boogiepop novel took First Place in Media Works’ Dengeki Game Novel Contest in 1997 and ignited the Japanese “light novel” trend. 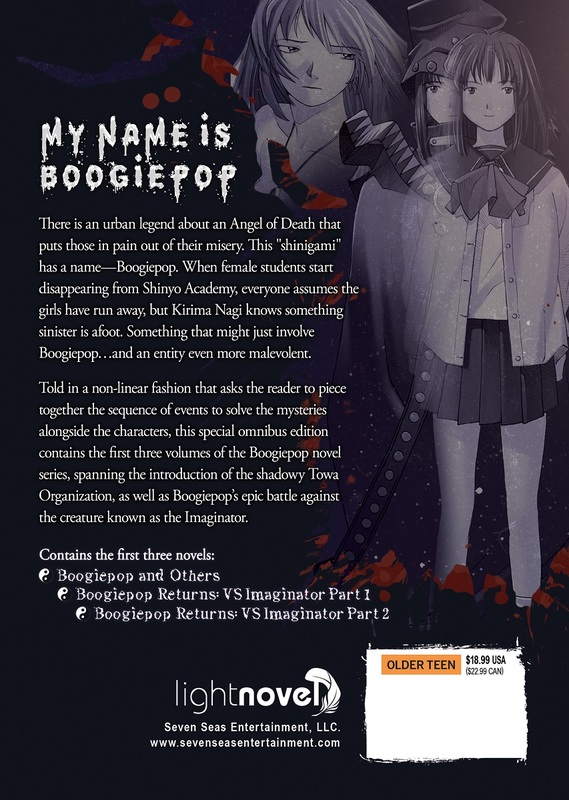 Today, there are over 2 million Boogiepop novels in print, a feature film and manga adaptation based on the first book, an original manga entitled Boogiepop Dual, and the unforgettable original anime series Boogiepop Phantom. Somebody I followed mentioned Boogiepop, especially when its upcoming anime. I entered Boogiepop blindly and I'm happy I picked it up. The condition of Boogiepop is overall well. The spine has yet to show any cracks from usage and I'm overly very pleased. Can't wait for the next release.